First, an exciting performance to get everyone loosened up and laughing. 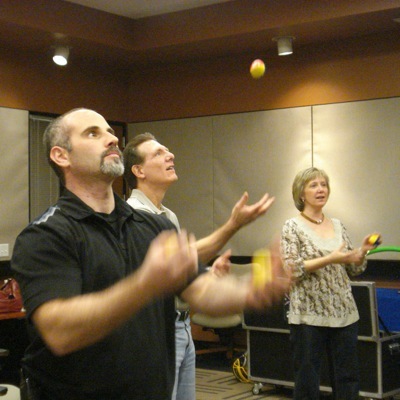 Then, everyone gets involved by learning to Juggle! • Ability to Show Off! All this with a fun and healthy activity that really is easier than you think. 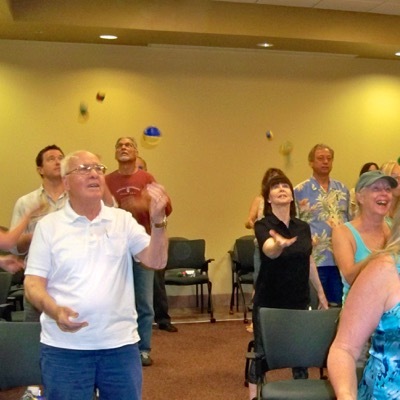 A typical teambuilding session runs one hour and includes both performance and lesson. (take home equipment is optional). Add more Sessions - Flexible to your needs. Visit the homepage for video of the show! “Super digged it! 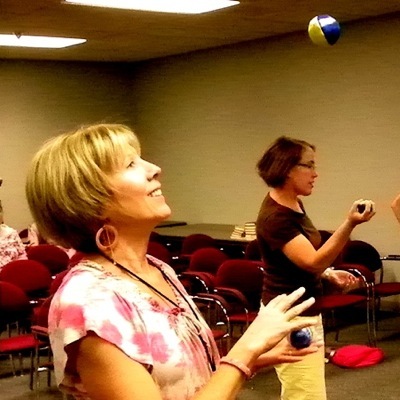 I like that the instructor brought in the brain function behind juggling"
"FUN! One more thing checked off my bucket list!" 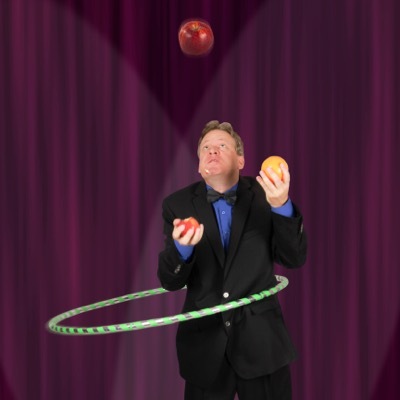 "I was mesmerized by his ability to juggle like there was nothing to it! 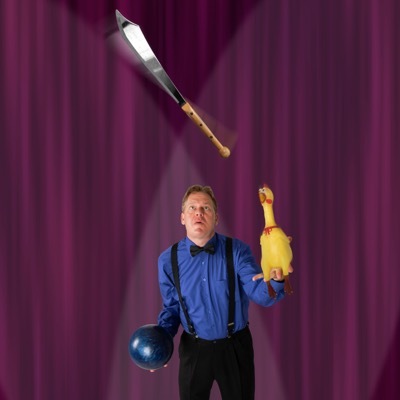 He educated all of us about some facinating benefits from juggling regularly. 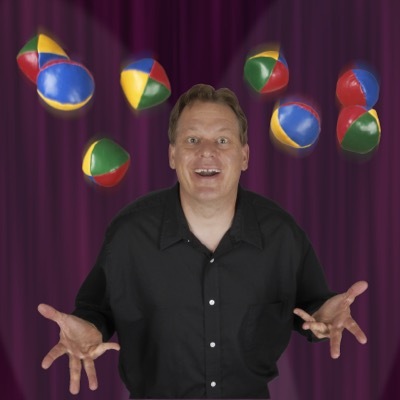 I am excited to hone my juggling skills!" “WOWZER! I never knew I was so unable to focus. Awesome activity to revisit youth and relize just how much difference 15 minutes a day can make! Awesome!" "Can’t wait to show my family my new skills!"